When it comes to Eric Carle children’s books, there are none better! We enjoy reading his storybooks over and over, especially The Very Hungry Caterpillar. We also like to extend our reading with fun and inspired Eric Carle hungry caterpillar printables. 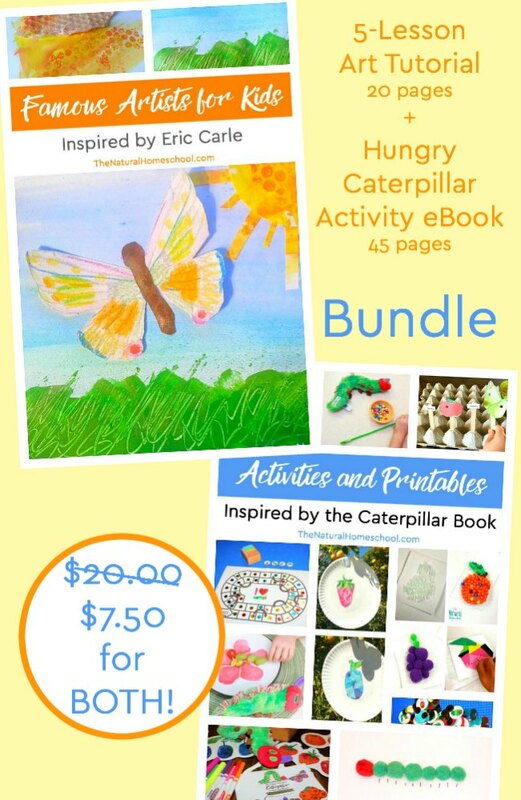 Here, you will find a great bundle of the hungry caterpillar activities. I highly recommend reading this beautiful, funny and rich story to begin the lesson. It is the kind of book that kids love reading again and again. If you own a copy, you’ll know what I am talking about. This awesome bundle of 7 sets are inspired by The Very Hungry Caterpillar and is printable, so you can save the PDF file and print out what you need, when you need it. Caterpillar and food to make a 3D diorama and Sensory Bin! 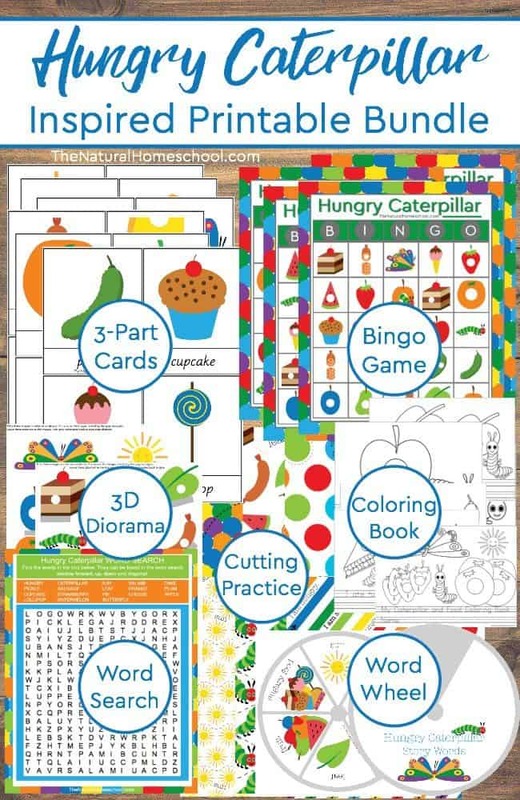 Get these hungry caterpillar pictures to print all at once or one activity at a time. I love getting them all ready at once and make a unit out of it! My kids love getting immersed into the story! It is so much fun! As we did all of these 7 activities, my kids LOVED them all, but their favorite is the bingo game. Oh my goodness! They can sit and play it for hours, if I let them! Imagine how much your younger children will learn with these activities! They will learn the butterfly life cycle, the names of the day of the week, they numbers 1 through five, names of fruit and names of other food. Older kids will love to play the games and use the hands-on activities on a more independent level, but they will love them nonetheless.